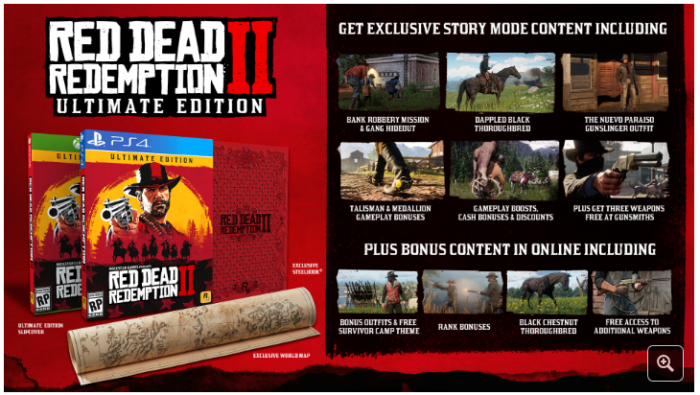 In a press release from Rockstar, and a post on their website, the company detailed the different editions of Red Dead Redemption II and the pre-order bonuses that come with those purchases. 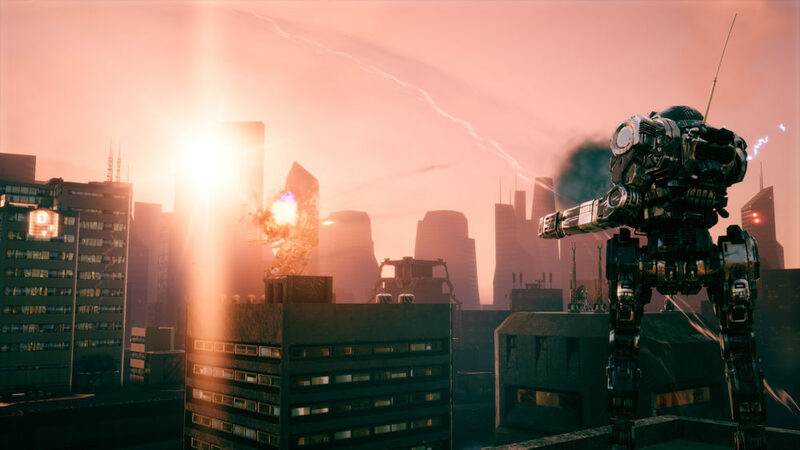 Alongside the standard edition of the game, players will be able to purchase the Special Edition or the Ultimate Edition. The Special Edition of Red Dead Redemption II includes a slew of exclusive story mode content. In an exclusive bank robbery mission, players will be tasked with utilizing Arthur and some of his fellow gang members to come up with “a daring plan to break in and rob the bank in the Southern town of Rhodes.” Furthermore, you’ll receive a gang hideout story mission that sees players clearing the Del Lobos Gang hideout. And speaking of medallions, this edition of the game comes with an Eagle Talon Talisman that Arthur can equip to his boot yielding him a longer-lasting environmental awareness skill. By carrying the exclusive Iguana Scale in his satchel, Arthur will take less damage while riding on horseback. Gameplay boosts that boost Arthur’s stamina, health and “dead eye cores” will be included as well. 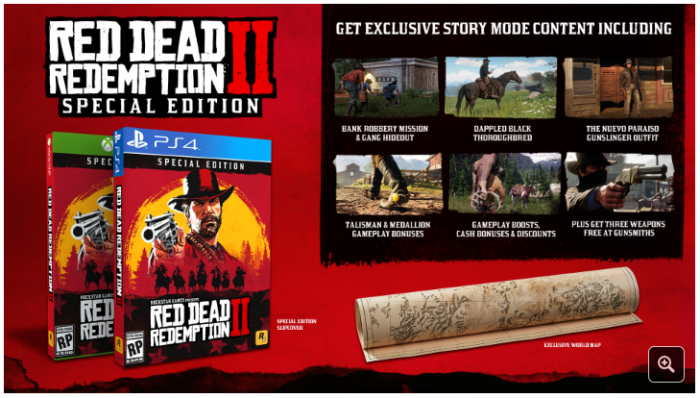 Players who purchase this edition will also receive a bonus that earns them more cash during robbery missions with the Van Der Linda gang, and when hunting and selling animal carcasses. They’ll also receive discounts on all upgrades to the Van Der Linde gang’s camp. Furthermore, Special Edition players will receive the Nuevo Paraiso Gunslinger outfit, which according to the press release, is inspired by the clothing worn by vaqueros and banditos south of the border. It features a wide-brimmed, black cowboy hat, a deep indigo coat, worn denim chaps, and a set of leather gloves and boots. 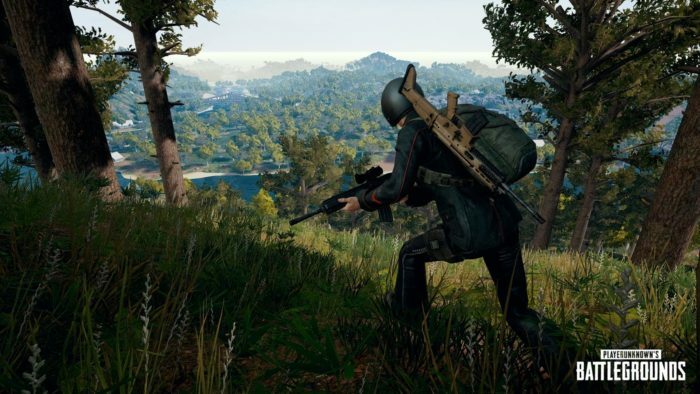 Finally, these players will receive free access to the Volcanic Pistol, the Pump Action Shotgun and the Lancaster Varmint Rifle, as well as an exclusive world map (if pre-ordered physically). The Special Edition of Red Dead Redemption II is currently available to pre-order for $79.99 from the Rockstar Warehouse, PSN and the Xbox Store. The Ultimate Edition of the game comes with everything in the Special Edition, as well as two bonus outfits and more. The Blackrose Bounty Hunter outfit features a long, oxblood-colored coat, a vest with a gold pocket watch chain and dark pants tucked into chocolate leather boots. The Copperhead Enforcer outfit features a fur-lined saddle-brown leather waistcoat, two-tone gloves and pinstriped black pants tucked into black leather boots. To compliment these outfits, Ultimate Edition players will also receive a Black Chestnut Thoroughbred horse that can “outrun the competition,” and a matching High Plains Cutting saddle that is “beautifully crafted in jet-black leather with gold medal accents,” to use online. 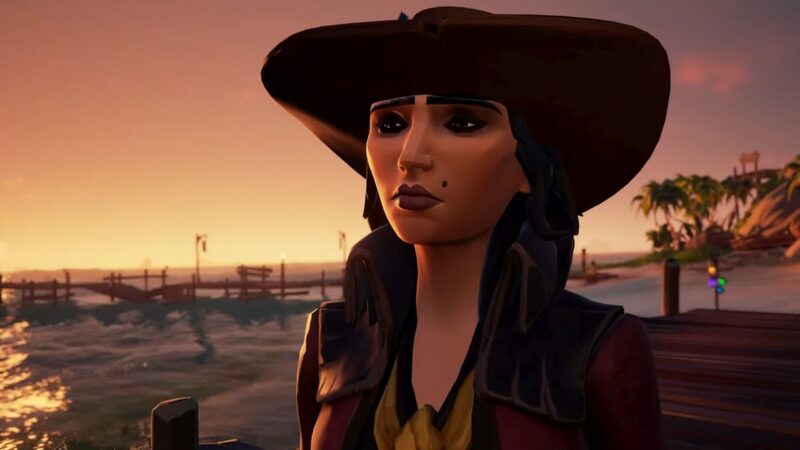 Beyond those bonuses, those who purchase the Ultimate Edition will receive free access to the Survivor Camp theme to use on their online camp, free access to the Volcanic Pistol, Pump Action Shotgun and Lancaster Varmint Rifle to use online, and finally, a rank bonus that lasts up until rank 25. This edition also comes with an exclusive world map and a special steelbook case (if pre-ordered physically). The Ultimate Edition of Red Dead Redemption II is currently available for pre-order for $99.99 from the Rockstar Warehouse, PSN and the Xbox Store. Anyone who pre-orders the game, physically or digitally, will receive a War Horse and the Outlaw Survival kid. The War Horse is a “handsome iron-grey-colored Ardennes War Horse” that can always be relied on as it has greater courage and stamina than the average steed, according to the blog post. The Outlaw Survival kid contains items that can replenish health, Dead Eye and more. If you pre-order the game digitally, you’ll also receive a cash bonus for the story mode and an exclusive in-game treasure map. To receive the treasure map, you must pre-order by July 31, 2018. All digital pre-orders from PSN or the Xbox Store will receive an immediate infusion of GTA money to their Maze Bank accounts in GTA Online. 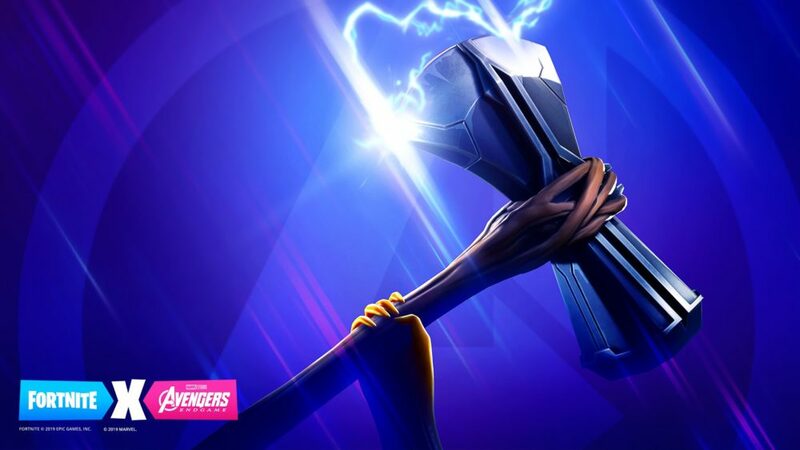 The standard edition of the game comes with $500,00, the Special Edition comes with $1 million and the Ultimate Edition comes with $2 million. 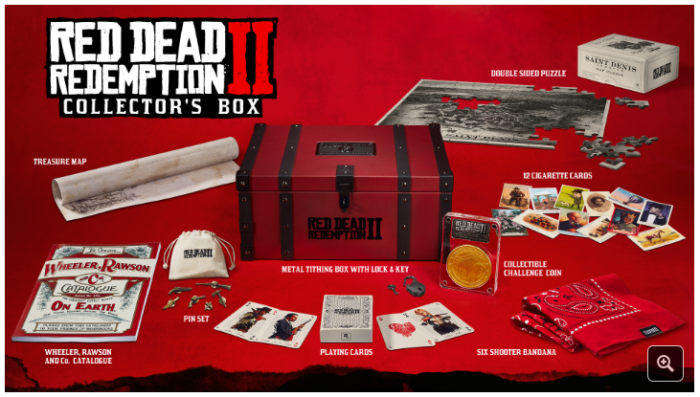 If all of that isn’t enough, for $99.99, you can pre-order the Red Dead Redemption II Collector’s Box which includes exclusive physical items such as playing cards and a collectable coin. The box also comes with a metal tithing box with a lock and key, a double-sided puzzle, a six-shooter bandana, a treasure map, a pin set, 12 cigarette cards and a Wheeler, Rawson and Co. Catalogue. It’s important to note that this box does not include the game. 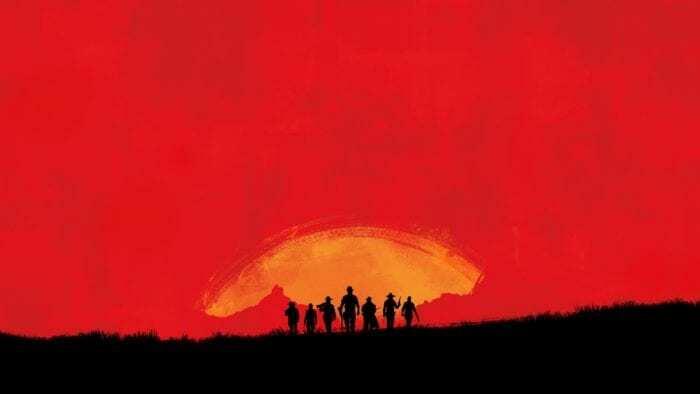 The Red Dead Redemption II Collector’s Box can be pre-ordered now from the Rockstar Warehouse.